Fenders are used on various vessels including ferries, personal yachts, cruise ships,and cargo ships. They are also used along jetties and other berthing structures.But its important to ensure that the fenders used are resilient and have a low reaction force and high energy absorption. Fenders are generally manufactured out of foam elastomer, rubber,or plastic. They are hard wearing yet very gentle on your boat which means you don’t have to worry about them causing any damage to your vessel. Our plastic fenders are very durable- they provide maximum protection, last for a number of years,and offer good return on investment. They are effective yet non-complex and very easy to fix on your boat, pylon, or even a jetty. These features are white in colour to ensure maximum visibility, even in inclement weather conditions. They are customizable and we can manufacture them in any colour of your choice. Our high-quality plastic fenders are UV-stabilized to prevent hardening & cracking caused by constant exposure to the sun’s rays. This significantly increases their longevity. Plastic fenders are also very cost-efficient. They offer better characteristics and performance at a much lower cost. 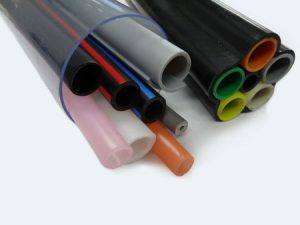 For more information, call RBM Plastic Extrusions Pty Ltd at +61(02) 9748 2638. Alternatively, you can also use this online form to get in touch with us; we will revert within the shortest possible time. When you opt for our products, you are always assured of top-quality at the most cost-effective pricing.